All I'm saying is the A-T-L slow clap is something you just HAVE to experience in person. 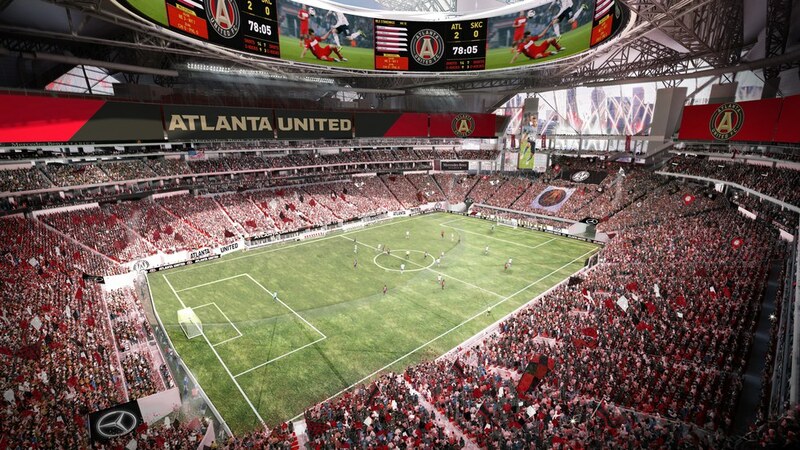 While baseball and football have always dominated the sports scene in the United States, Major League Soccer (MLS) keeps growing and there's no telling if it'll ever stop. 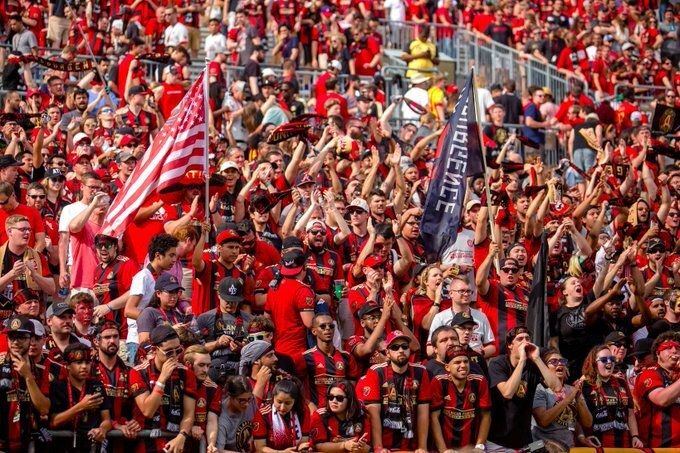 A year ago I wrote about how ATL United was going to take over MLS, and oh my, have we started a soccer revolution in our city. The fans have made the experience absolutely unforgettable and if you have any doubts about soccer, please go to a freaking MLS game. I can guarantee it will be one of the best sporting events you've ever attended in your entire life. If I still haven't convinced you, here are some reasons why you should just buy your ticket already. 1. You will feel like you are part of a big family you never even knew existed. 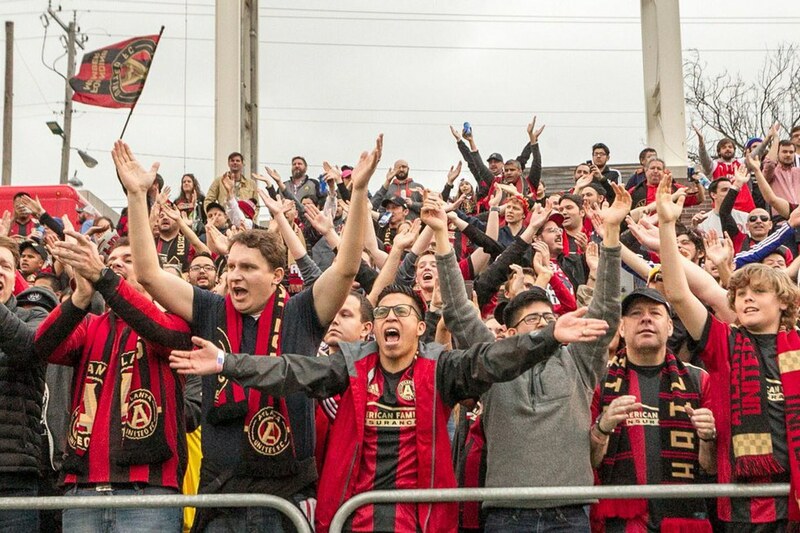 When you're packed in a stadium full of 46,318 fans (that was ATL United's average attendance per game this inaugural season), you'll find yourself becoming best friends with the people in your section. Not to mention if you're sitting in the supporter section, it gets pretty wild from what I've seen (and heard). 2. The chants will send chills running down your spine. 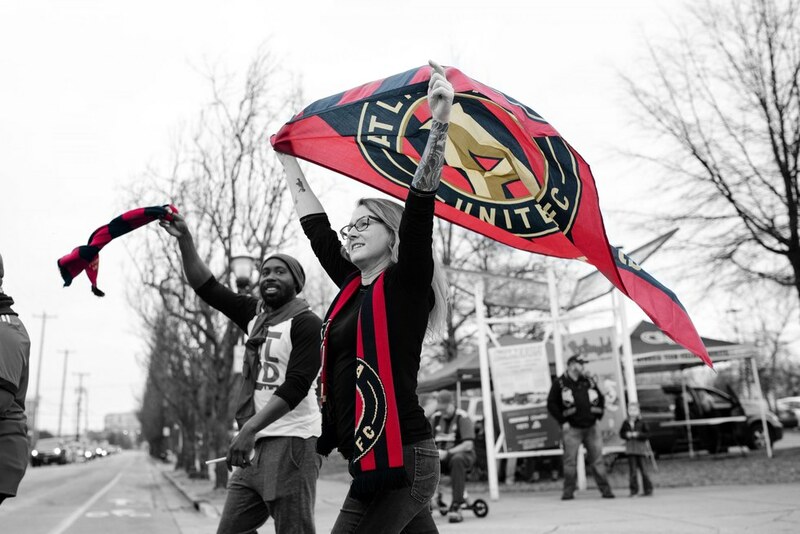 Coming from a foreign family, soccer has always been a sport that I've kept up with, but I was nowhere prepared for what I was about to experience at my first ATL United game. MLS supporters are some of the most dedicated and energetic fans out there. It's a totally different energy than any league in the entire world and a lot of that has to do with the rise in popularity of soccer in the United States. All I'm saying is the A-T-L slow clap (you know which one I'm talking about) is something you just have to experience in person. 3. When you step in that stadium, you are literally making history. 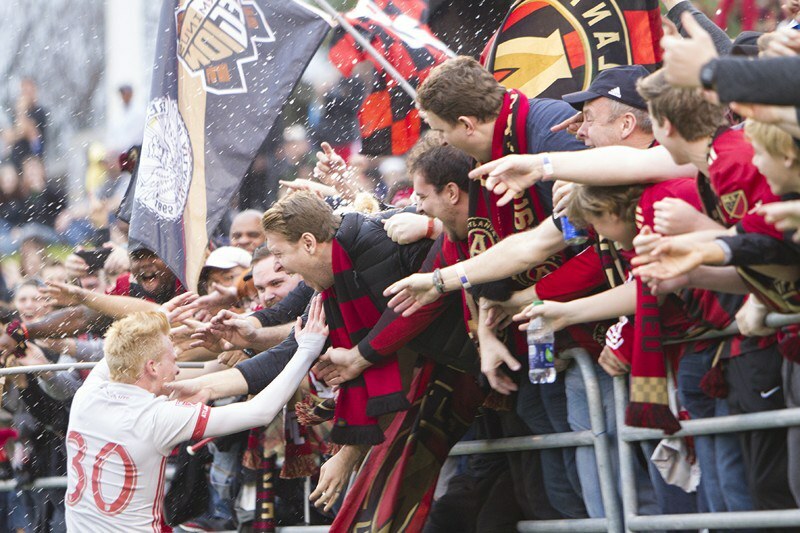 Plenty of MLS teams have set impressive records in the past, but Atlanta has already broken some of them and set the bar higher than ever. The most recent one being breaking the all-time MLS record for tickets sold to a standalone match (69,256 tickets for their match against Orlando FC on September 16, 2017). The last time this record was set was back in 1996 for LA Galaxy's first game ever. 4. You will be impressed by the tifo game. In case you don't know what a tifo is, it's a long-standing soccer tradition that features works of art created by fans to commemorate the match that day. You'll see these flying over the supporter section and the best part is each one is incredibly unique. 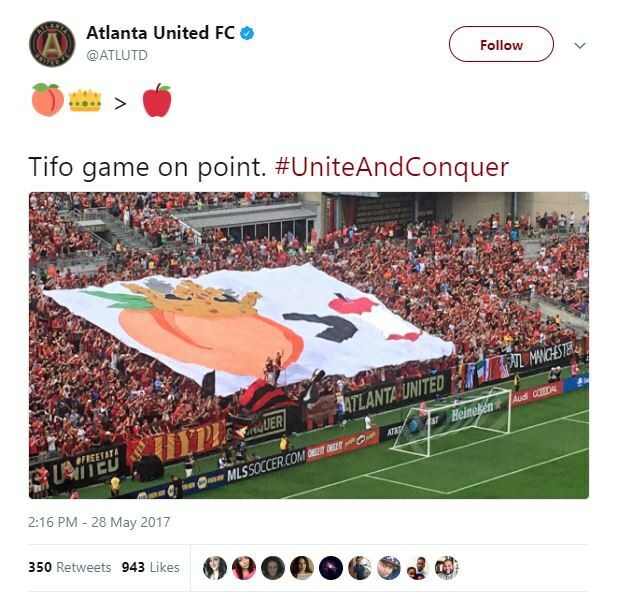 I love this one above from ATL United's match against the New York Red Bulls this past May. 5. The moment your team scores a goal is one you will never forget. You know when you go to a football game and pretend like you know what's going on even though you can't tell whether or not we scored a touchdown? Soccer is nothing like that. You will know when we have scored and you'll be even more excited because you actually understand the sport. I'm telling you, even if you aren't a "soccer person," it's easy to follow. 6. The excitement will keep you on your feet the whole game. Forget sitting, you will probably forget you're even standing because you're having a blast. 7. You will realize that your city is freaking amazing. I've heard a lot of people say, "Oh, you don't know what it's like, you have to go overseas and watch a Premier League game." Actually, we have the experience right here in our own backyard. Embrace it and show some love for your city!